Modern style and quality performance – the versatile GROHE Costa L pillar tap! Precision German engineering and timeless design! The GROHE Costa L pillar tap looks perfect in any contemporary bathroom or cloakroom and is made from the finest materials to ensure it is a delight to operate and lasts a lifetime. The tall 360° swivel spout is super convenient and the gleaming GROHE StarLight chrome coating is scratch-resistant and very easy to clean – just wipe with a dry cloth and it looks pristine and new. 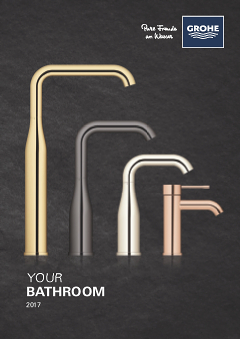 GROHE Costa – an instant bathroom revamp with great build quality that balances style with performance you can trust!